You all know how much my garden means to me, but some people aren’t so fortunate. Whether you’ve got an apartment with a balcony, or a small inner-city townhouse, sometimes outside space is at a premium. When you’ve got little ones, it can feel a little bit claustrophobic keeping them indoors all the time, so it can be liberating to make the most of the outside space you have, so that they have room to run around or just get some fresh air. The size of an outdoor area can be restrictive, but it’s not impossible to make a child-friendly garden which is only a few square feet, it just takes a bit of imagination. Check out these top tips for creating the perfect small family yard! First things first, you’ll want to get rid of all the clutter. When you’ve got limited space, you need to make sure every inch is accessible. That means finding alternative arrangements for anything you’re storing there, at least when the garden is in use, and trashing anything which is just there for the sake of it. The more space you have available, the more space there is to play with. Every garden should have some sort of grass, even if it’s a tiny balcony garden. Grass is a far safer surface on which children can play, unlike asphalt or concrete, and it can bring freshness and life to your yard. If your yard gets no sunlight, or the space just isn’t big enough to justify turf, why not consider an artificial grass such as Multiturf instead? They look and feel like grass, add softness for children when they’re playing, and they require far less maintenance than real turf, and they can be installed anywhere. However big your garden is, you’ll always have room for a tiny vegetable patch. It’s a great way to get kids outdoors, engaging with their food, weeding the yard, but also learning a bit of science in the process. 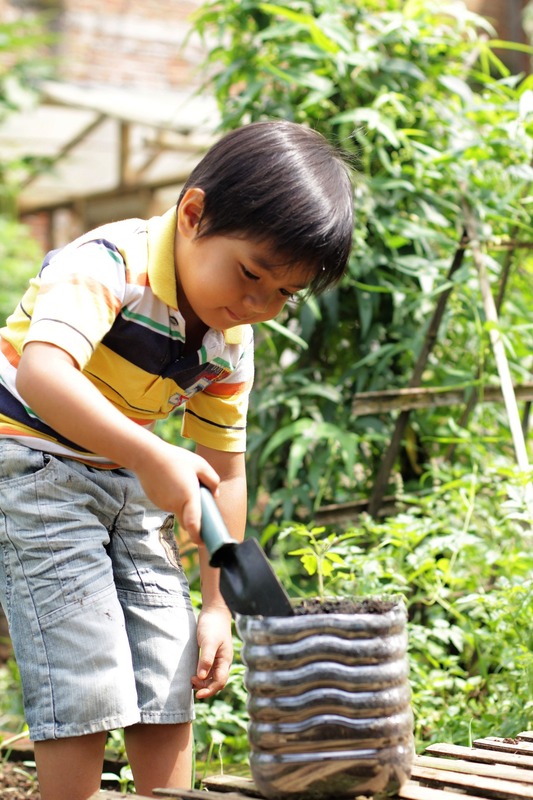 You don’t have to dig up your entire yard, just a pot with a couple of tomato plants, some strawberries, or even a trashcan full of compost for growing potatoes is a fun way to get your kids interacting with the yard. Chances are, mom and dad are going to want to use the yard too, but yard furniture tends to take up valuable playing space. Using fold-up furniture allows you to store it handily so that children can play in the yard, without the risk of tripping over or limiting their playing area. Whatever type of yard you have, there are going to be security concerns if your children are using it for recreational purposes. Keeping it safe from intruders, and ensuring they’re not able to get out onto any roads are a priority, so suitable fencing and a gate is an absolute must. If you’re using a balcony, ensuring that your children are not able to climb to the height of the barrier is essential, so avoid placing any garden furniture near to the edge that they can climb on. 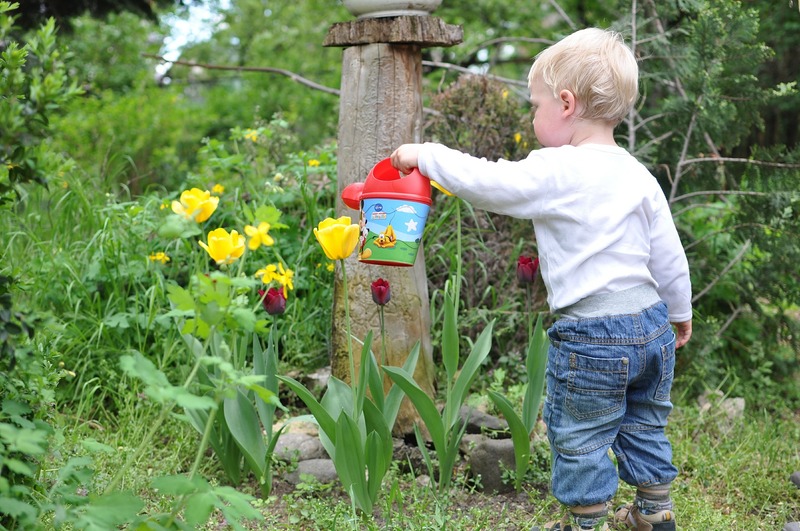 Keep water away too – even the smallest puddle can be dangerous when a child is around it unsupervised. Making the most of your yard can be tricky when it’s tiny, but with a bit of imagination, it can be the perfect kid’s playground. Nice tips about small family yard.Thanks Jennifer. Thanks for commenting. Happy gardening! Thank you for sharing your work and impressions. I love your choices. Thanks for your great post.Thanks for sharing.